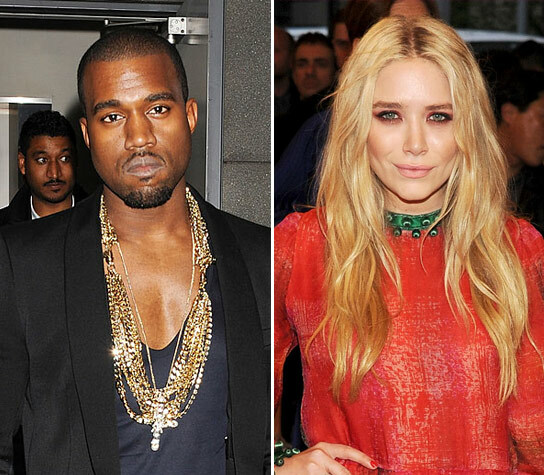 Welcome to Bold Caleb: Mary-Kate Olsen And Kanye West Dating? Mary-Kate Olsen And Kanye West Dating? Mary-kate Olsen has sparked speculation of a new romance with Kanye West after they were spotted kissing during a night out, according to U.S. reports. The actress-turned-fashion mogul got close to the rapper as he celebrated his birthday at the Submercer Bar in New York City's Mercer Hotel in the early hours of Thursday morning (09Jun11). West turned 34 on Wednesday (08Jun11). New York Post gossip column Page Six reports West invited Olsen to his party during a chat at the Annual Council of Fashion Designers of America Awards in the Big Apple on Monday (06Jun11). Olsen, who will turn 25 with her twin sister Ashley on Monday (13Jun11), was recently linked to sneaker designer Seth Campbell.